The image of the white female body is so historically iconic in art. 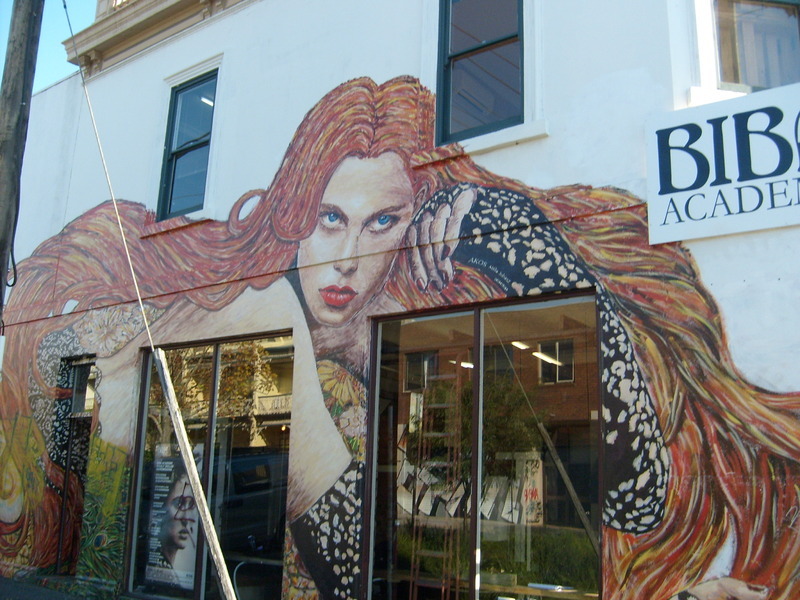 Akos Artila Juhasz’s mural outside Biba (a hair salon) in Brunswick captures this well. His mural is reminiscent of the gold infused paintings of Gustav Klimt. It is interesting that this work was commissioned for the outside of a hair and beauty salon. That is that this traditional depiction of female beauty was used not only to increase the social capital of Biba, but to further reinforce traditional notions of white female beauty. The saturation of male representations of women in street art is not uncommon. Consider the work of RONE who uses magazine-like, white, cis, women as his trademark style. Here, tour participants can discuss how beauty standards and practices are enforced in their lives, and alternative ways they perceive beauty can manifest, outside traditional femininity. “Woman's Beauty, Part 1,” Street Art deTours, accessed April 20, 2019, http://streetartdetours.com/document/923.